Sunrise - The community app. 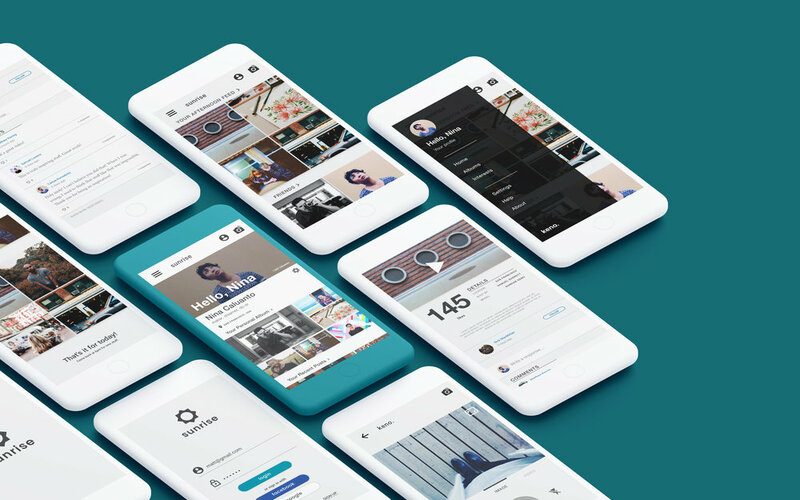 Sunrise is an app that encourages creators and influencers to tell their story behind each image they upload, creating a more intimate connection with their viewers by adding context. Synced to the Keno. camera, Sunrise acts as the complementary app to instantly upload from the camera to the platform, removing the need to over-glamorise and manipulate photos beyond their natural appearance. 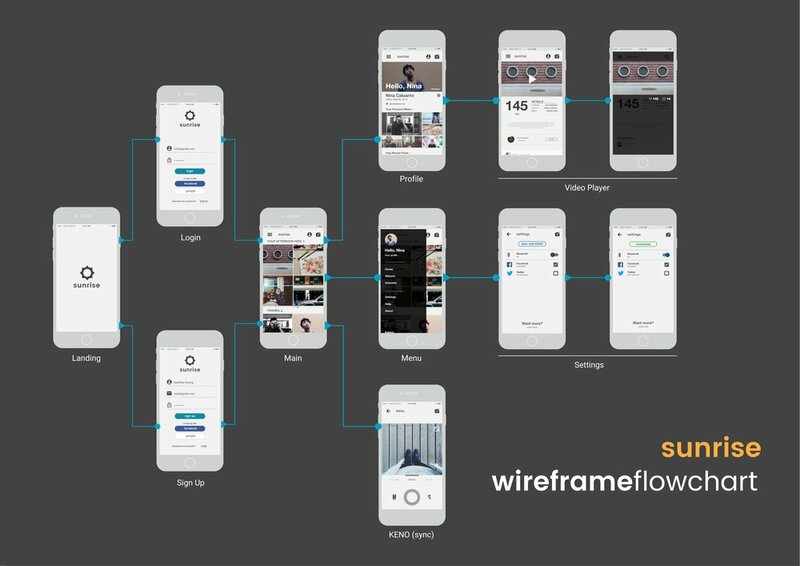 As the first proper interface I built, Sunrise was a challenge to be able to create and map out the entire experience, taking into consideration what users expect with their next click. It allowed me to experiment with user testing using different process and discover loopholes in the base product. It taught me the importance of pixel ratios in UI design as well as how button placement affects the users natural behaviours. Icons sourced from Google Material Design.